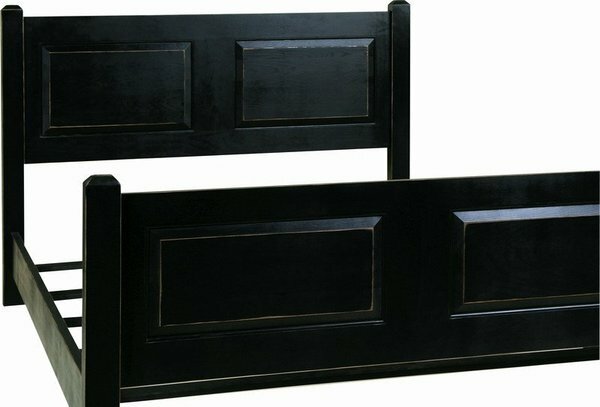 The lovely Amish Pine Wood Panel Bed offers country style luxury for your cozy bedroom. Both headboard and footboard wear rich raised panels along with sturdy kiln dried Eastern white pine wood. Pine wood prices make shopping for solid wood furniture even better! Pine is a softer wood, but offers plenty of stability. It's offered at a lower price than other hardwoods, making solid wood furniture more affordable. This pine bed is from the Heritage Pine Collection that ships for free, saving you even more money! Pine is a prime candidate for distressing options. Distressing adds pin holes, nicks and even simulated cracks to create the look of ages of wear. You can choose from light to heavy distressing for this pine bed if you wish. If not, pine takes paint beautifully and this pine bed is offered in plenty of paint or finish colors. Order samples to review at home. Some assembly required for this bed--email or call a Furniture Specialist with any questions. Thank you for shopping DutchCrafters pine furniture.